Youtube/Chauncy’s ChanceTennessee teen Chauncy Black. 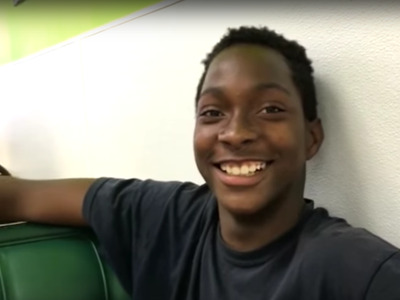 A chance encounter at the grocery store has changed a Memphis teenager’s life, Fox 59 reports. Two weeks ago, Chauncy Black, 16, approached shopper Matt White and if he could carry White’s grocery’s in exchange for food. But the campaign far exceeded these early expectations: To date, more than 3,500 donors have raised a staggering $85,000. At the same time, community members have donated clothes, furniture and various household items to the teen and his mother. Black got a lawnmower and has already begun working. Thanks to the outpouring of generosity, they have even begun the transition to a new home. Watch video updates on Black and his mother at the Chauncy’s Chance Youtube channel.